A row of old sugar maples in gorgeous fall colors of gold and yellow welcome visitors to the Canterbury Shaker Village meetinghouse. 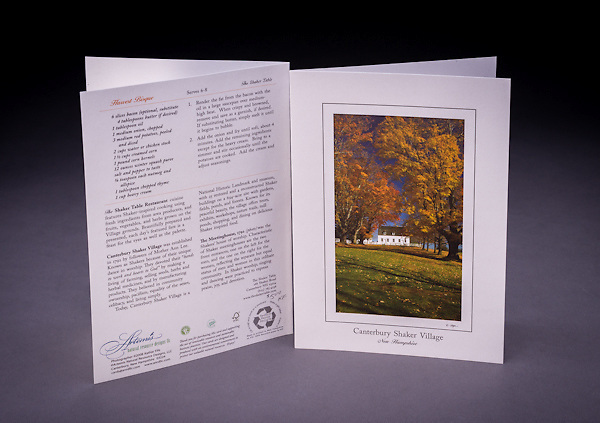 Back of the card includes a recipe for Harvest Bisque and interesting historical anecdotes. Also available as a Limited Edition Fine Art Print.